Russia-backed militants keep violating the ceasefire using Minsk-proscribed weapons. 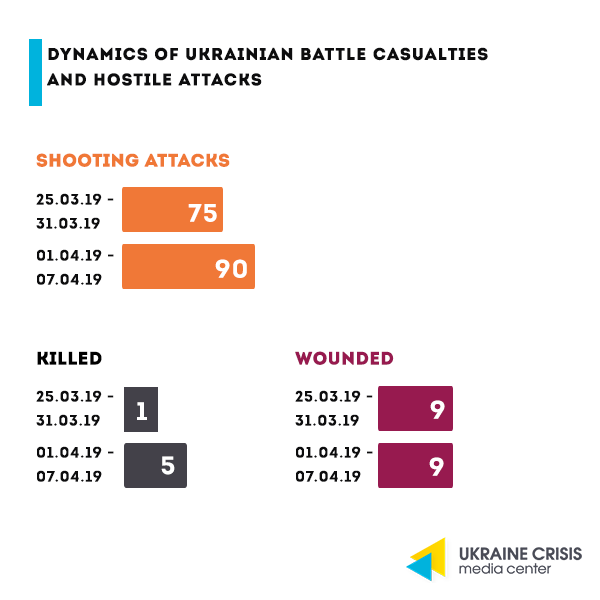 Russian proxies were also firing upon the positions of Ukraine’s Joint Forces from weapons mounted on infantry fighting vehicles, grenade launchers, heavy machine guns and small arms. Three hostile attacks on April 5 included sniper fire. 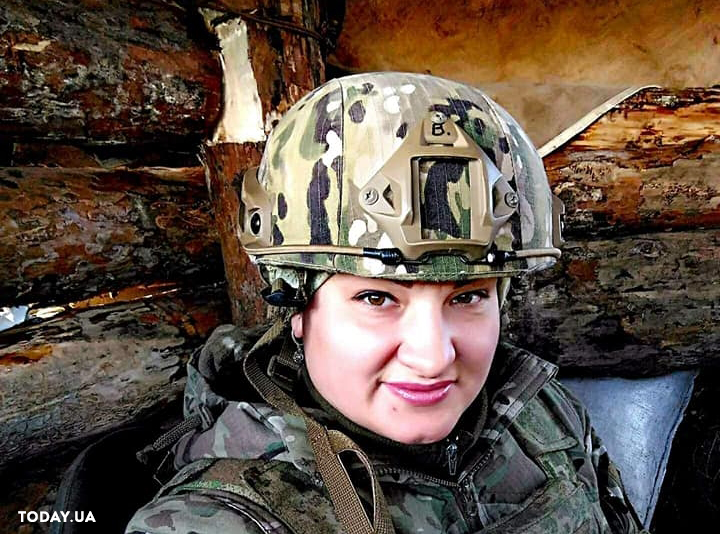 On April 2 a well-known Ukrainian servicewoman and army supply volunteer Yana Chervona, call sign Vidma (Witch), was killed in action. The news was reported by journalist Mykhailo Ukhman. He said an antitank guided missile hit the dugout where Chervona and her fellow serviceman Oleksandr Milyutin were staying. Both were killed. Debates of the candidates for President: where, when and for whom? Are the debates necessary? Who needs them? According to the public opinion poll by Ilko Kucheriv Democratic Initiatives Foundation the debates between the candidates are important to over 74 per cent of Ukrainian citizens. Public debates are of slightly more importance to Poroshenko’s voters. Zelenskyi’s voters are a little less interested in the debates, but still 40 per cent of his supporters consider debates compulsory and over one third – advisable. At the same time the finalists of the first election round will not be just competing for their own electorate but will be also in try to attract the voters whose candidates did not make it to the second ballot. – How to achieve peace in Donbas (important to voters of all outsiders of the first round). – How to achieve economic growth, what the pension, tariff and medical reforms will be (important to voters of all outsiders while social benefits are crucial for voters of Yulia Tymoshenko and Oleh Lyashko). – How to combat corruption (less important to voters of Yuriy Boiko and Oleksandr Vilkul). – How to strengthen the army and what the foreign and security policy will be (important to voters of Anatoliy Hrytsenko and Ihor Smeshko). However one should not expect that either of the candidates will be able to get the majority of these votes as ideology of Tymoshenko’s and Lyashko’s voters does not sit well with the views of Boiko and Vilkul. Zelenskyi’s version. 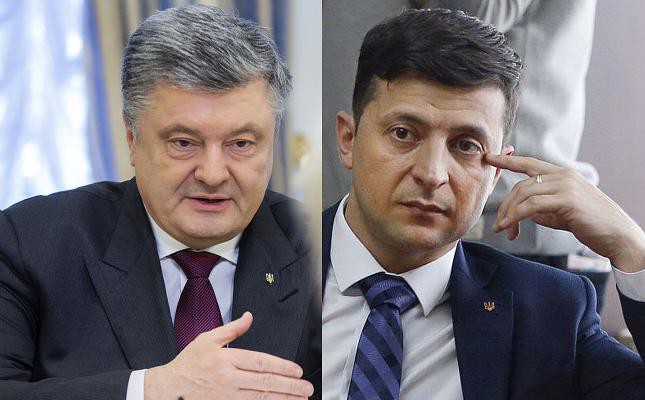 In his new video the candidate for President Volodymyr Zelenskyi said the debates with Petro Poroshenko will take place at the Olympic stadium on April 19. 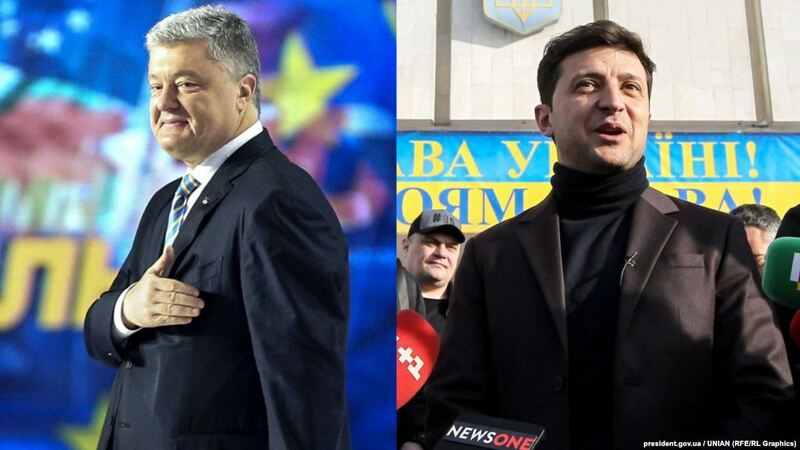 Zelenskyi also addressed his supporters asking to suggest him the questions he will ask Poroshenko at the debates. “I’m sure in five years the people of Ukraine have many questions to Poroshenko that they cannot ask themselves but I can do it on your behalf. So please leave a comment stating your question to Poroshenko,” the candidate said. If the debates don’t happen. Serhiy Shapovalov, analyst at the Ilko Kucheriv Democratic Initiatives Foundation, in his article for Ukrainska Pravda said that if the debates are derailed, cancelled or turned into a show, it will play into the benefit of Zelenskyi and will encourage the protest voting. On the other hand no debates may decrease the turnout of voters who vote not for abstract changes for the better but to resolve concrete problems in the country. It will make the election outcome even more unpredictable and will weaken the legitimacy of the new President. Lessons learnt: what conclusions did President Poroshenko make after the first round of elections? Results of the first election round turned to be a cold shower for the actual President. Though the opinion polls were clearly showing Zelenskyi’s victory long before the elections, the 15-per-cent difference between the leaders of the race came as a true surprise. What conclusions did the presidential team make and what steps has it made already? “I hear you”: recognizing the mistakes in public. The President was not trying to “put up a good show” while “the game is lousy”. He openly recognized, particularly in an interview to the “Ukraina” TV channel, that the first round of elections turned to be “a tough lesson” for him. “On March 31 I said to those who voted for me and those who did not: I hear you. It was one of the toughest lessons in my life. It is a huge motivation for me to analyze five years with all the mistakes I made,” Poroshenko said. New appointments. A big number of questions to the President Poroshenko were about the people surrounding him who had found themselves in the middle of a scandal quite a number of times. The President is now promising to considerably renew his team. “Key points will be changed. The team will be changed, there will be a big number of young people. I have a huge number of suggestions now that we are analyzing and that will be presented later,” Poroshenko said. On April 5, in the first week after the first round of elections (following a conversation with the President and officially of his own will) the infamous Head of the Kherson regional state administration Andriy Hordeyev resigned. Earlier, on January 28 the father of the killed activist Kateryna Handzyuk Viktor Handzyuk claimed that the organizer of his daughter’s murder is linked to the Head of the Kherson regional council Vladyslav Mangher, the Head of the Kherson regional state administration Andriy Hordeyev and to Hordeyev’s deputy Yevhen Ryshchuk. In addition to that on April 6 the President dismissed the Head of the Odesa regional state administration Maksym Stepanov. Rebooting anticorruption agencies.President Poroshenko stated that it is necessary to “reboot” the National Agency for Prevention of Corruption and the Specialized Anti-Corruption Prosecutor’s Office as well as to strip the Security Service of Ukraine and other law enforcement agencies of the economic investigation functions and instead set up a new agency for financial investigations. Following the meeting between the President and civil society activists the executive director at the Anti-Corruption Action Center Daria Kalenyuk wrote on Facebook that Poroshenko vowed to support the “reboot” of the National Agency for Prevention of Corruption and the Specialized Anti-Corruption Prosecutor’s Office. Refocusing communication towards young audience.The first round of elections made it clear that many of Zelenskyi’s supporters are young people. These voters do not respond to television or billboards, instead they have a better response to the online campaign. 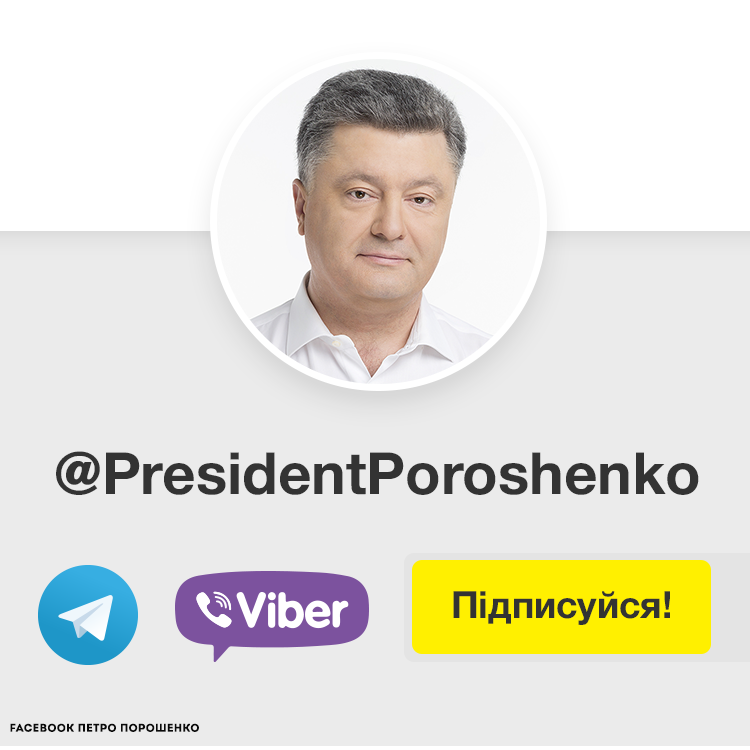 So Poroshenko’s team started being more active on social media and went on Facebook and Telegram to reach out to them.